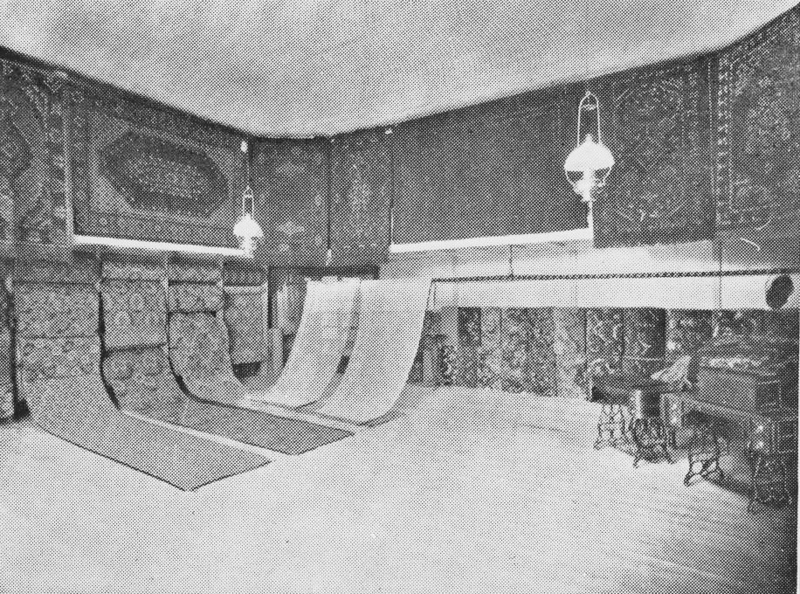 Prior to the Auld Public Library becoming a reality, there appears to be only one business and one building that donned the site – the Lewis Carpet Weaving “factory.” It first appears on the 1905 Sanborn Fire Maps but by 1912 is shown only as a dwelling. Prior to that that period it was chronicled in “The Chief” that Clarence Lewis, the proprietor, was laying a flagstone walk in front of his weaving works. It was also recorded that the weaver’s son often assumed the duty of ringing the bell at the nearby fire station to alert everyone regarding the emergency. 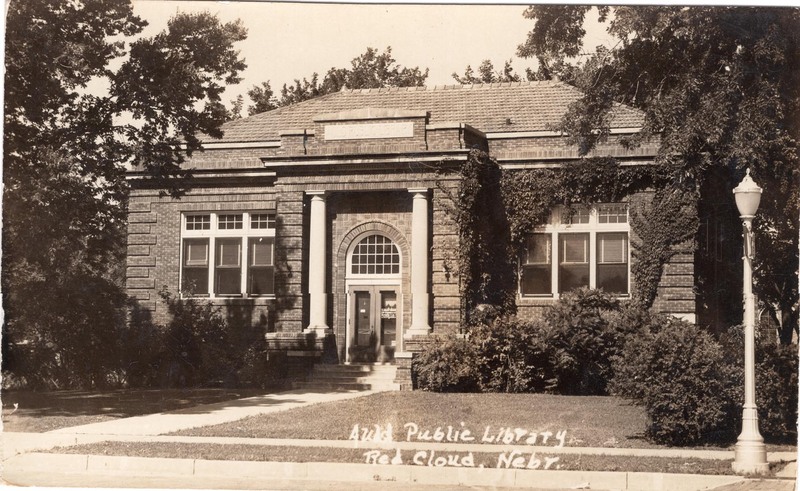 The library became a reality largely due to the efforts of William T. Auld, a cashier at the second State Bank in Red Cloud. 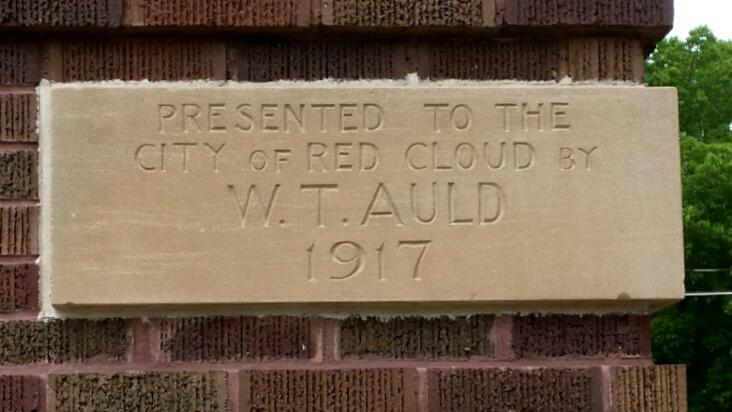 In 1917 Mr. Auld gifted the city $20,000. This money was to be used for construction, as well as reading materials. In turn, the city agreed. Auld Library officially opened on March 1918. Previously, books were available through local efforts such as the reading room that Dr. Cook provided at his store. Over the years, many have served on its board and more recently a foundation was established to support its efforts. A recent restoration and renovation project costing .75 million was completed. Once again, due to efforts from library personnel, benefactors, and citizens, as well as grants, community needs were achieved to enable the library to “pave the way” for its next 100 years!